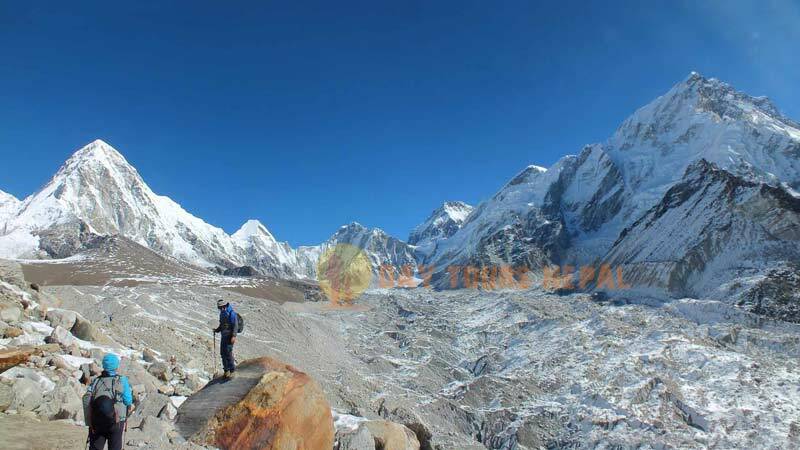 Everest Three High Passes Trek is one of the most challenging treks in Nepal. The passes include Renjo La (5360m), Cho La (5368m) and Kongma La (5330m).None of these passes are on the Everest Base Camp Trek, so the trail will be quiet and peaceful. The trail goes through the passes via Gokyo Valley and Everest Base Camp. 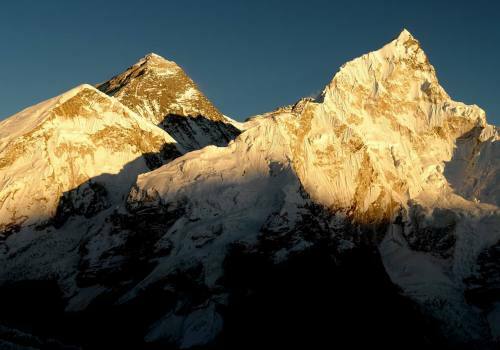 You will also have the opportunity to climb three peaks: Gokyo Ri (5360m) Kala Pattar (5540m), and Chukkung Ri (5550m). 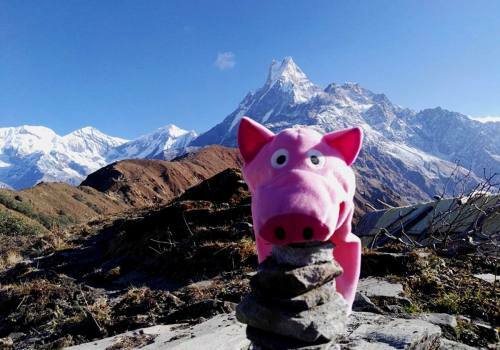 This is definitely the all-encompassing Everest region trek. The Everest Three Passes Trek begins in Lukla before passing through Sherpa villages and farming fields above the Dudh Koshi River. Soon, we reach to Phakding.In Jorsalle, we enter Sagarmatha National Park. Heading to Namche Bazaar, we enjoy the stunning panoramas of the Everest peaks and the surrounding high alpine, desolate landscapes. Hiking around the Khumjung village, welearn about the lifestyle of the Sherpa people, who are known around the world for living in this mountainous region. Through Thame, the route crosses the first Himalayan pass –Renjo La (5360m) to the jaw-dropping Gokyo Valley. To acclimatize, we hike to the Gokyo Ri and explore more views of the lakes, glaciers, icefalls and white peaks – Mt. Everest, Lhotse, Lhotse, Makalu, Cho Oyu and others. The trail then leads to Cho La Pass (5330m), which is consideredthemore technical pass among the three. The trail is steep and slippery, which makes it fun and entertaining, though slightly dangerous. You may need to use the climbing equipments. Via Everest Base Camp, you trek down to Lobuche and finally cross the highest pass- Khongma La (5535m). Then you trek back down to Lukla. When is the Best Time to Trek to Everest 3 High Passes? Trekking is possible throughout the year, but Spring (March to May) and Autumn (September to November) provide the best weather. During the Spring, there is a bit more color and the rhododendrons are blooming, and in the Autumn months, the skies are generally clearer. The Everest Three Passes Trek requires fitness and acclimatization to avoid acute mountain sickness. Day Tours Nepal arranges the trek with complete management. Please, feel free to contact us for more detailed information. 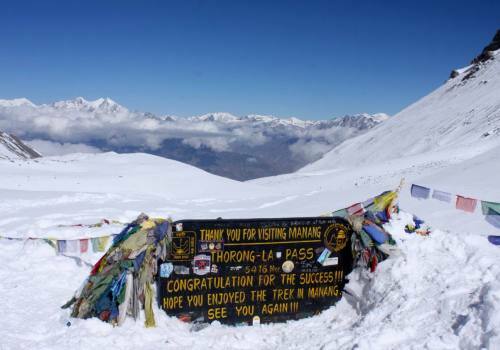 Exploring Three Himalayan passes: Renjo La. Cho La, and Kongma La. Renjo, Gokyo Ri, and Kala Patthar, panoramic viewpoints. Tengboche Monastery and other old Monasteries. Sherpa villages, including Namche Bazaar. Day 02:Kathmandu Heritage Sightseeing. 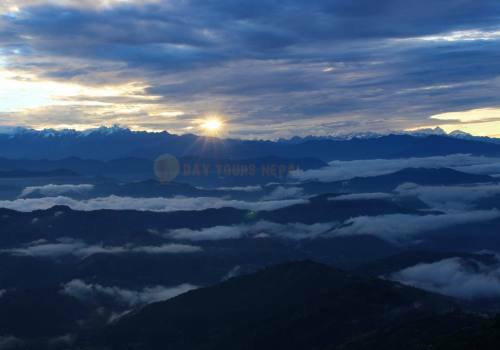 Altitude: (1,350m) 4,428ft Day Tours Nepal Cultural tour expert will meet you at 9; 00 am in your hotel to explore the ancient’s kingdoms of Kathmandu. Sightseeing tour will be 5 hrs and after returning back to hotel Day Tours Nepal Trekking guide will meet you. 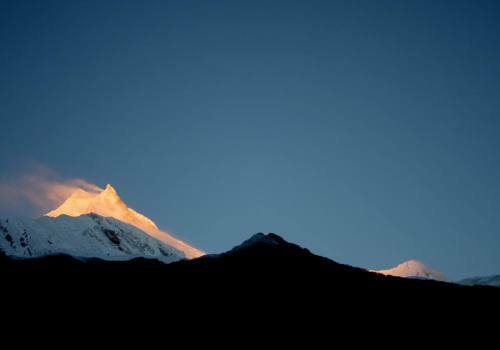 Trekking guide will give you a briefing about trek plans and short introduction about the places you will be visiting. Evening welcome dinner with Day Tours Nepal Team. Day 03:Kathmandu fly to Lukla (2,800m) 9184ft and Trek to Phakding Altitude: (2,652m) 8,698ft Distance: 8 km (3-4 hours) This morning you have to wake up early, breakfast will be packed in your hotel. Grab your packed breakfast and drive to Domestic airport to fly to Lukla. Flight time is about 35min from Kathmandu. Day 04:Phakding Trek to Namche Bazaar Altitude: (3,440m) 11,283ft Walking Distance: 10-12 km (6 hours). Before breakfast pack your gear and stuff so it will be easier for our Sherpas to move on with your bags. Our guide will help to serve the breakfast and a short briefing about the day. Today is quite tough after crossing Monjo village. The last few hr is almost gaining height and walking uphill. We will stop for lunch at Jorsalley or Monjo guide will decide. Check in tea house and enjoy the Namche Bazaar market. Day 05:Namche Bazaar Acclimatization Day Altitude: (3,440m) 11,283ft (3 hours) There are plenty of things to do around Namche Bazaar, we wake up to another spectacular morning and view from our room and sun rose of the breathtaking mountains. Let us make you clear something up that is a big misunderstanding about the Acclimatization day. 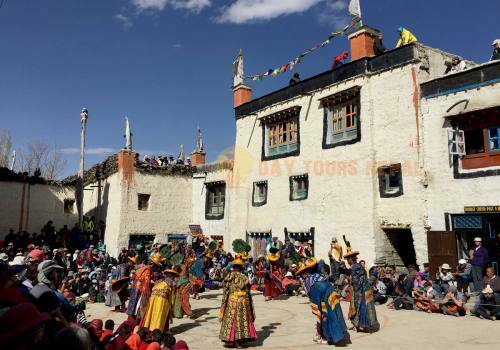 Acclimatization day is not a rest day, it is something completely different so don’t think that after the huge climb of getting into Namche Bazaar you’ll spend today lazing around the lodges or shopping in local stores. 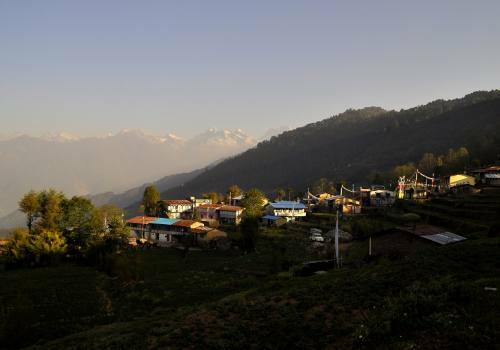 Our team will take you to explore the real charm of Namche Bazaar. So after breakfast, we will start the gentle hike up to Everest view hotel (3780M) 12,401.57ft where we can see the views of Mount Everest, Lhotse, Nuptse, Ama Dablam, Thamserku, Kongde and so on. Day 08:Lungden - Renjo La Pass 5400 M (17,717 ft) to Gokyo (4790m). We follow a very scenic path to Pangka and then descend slightly, to the riverbank before climbing onto the terminal moraine of the Ngazumpa Glacier on a steep trail. We climb a steep rocky incline into the valley by the side of the glacier, passing the first of the holy lakes. We get a chance to observe llama footprints on a stone. We soon arrive at the second lakes, crossing the path which heads across the glacier to Cho La our route to Lobuche and Everest, later in the trek. Taboche Tsho, we become mesmerized by the shimmering turquoise blue sheet of water sparkling in the sun. 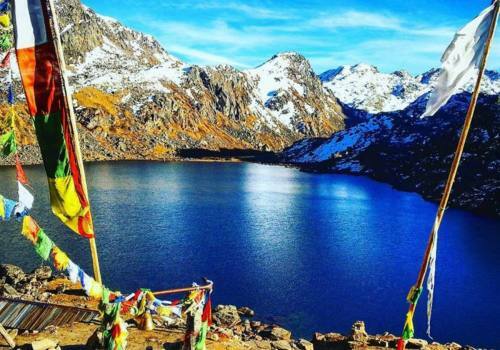 The third lake is known as Dudh Pokhari and on its eastern shore is the settlement of Gokyo. Walking by the side of the lake, the scenery is breathtaking with the summits of Cho Oyu and Gyachung Kang reflected in its emerald green waters. Day 09:Gokyo Valley Acclimatization Day- Hike to Gokyo Ri (View Point) Altitude:(5,357m)17,570ft Distance: 2 Km (4 hours) After breakfast, we will climb Gokyo Ri, a popular viewpoint to enjoy stunning views of the mountain vista. From the viewpoint, which is located at the edge of the 5thlake, we get astounding views of Cho-Oyu, Gyachung Kang, Everest, Lhotse, Nuptse, and Makalu mountains. 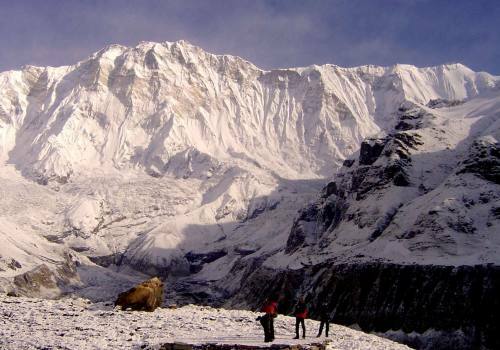 We will also get a chance to see the biggest glacier of the world- the Ngozumba Glacier. This breathtaking location will be the perfect chance for Photography. Day 10:Gokyo Trek to Thagnak Altitude: (4,750m) 15,580ft Distance: 4 Km (4-5 hours) Today we will be hiking short through the longest glacier of Nepal called Ngozumpa glacier. The afternoon we will explore nearby the hills on Thagnak and yoga continue. But today it will be almost easy and rest for hiking, which will prepare us for long hiking days and elevation gain to come. There is the icy part for a while and again the trail drops down through the huge rock and an easy walk at the end to get to the Zongla. Day 11:Thagnak to Cho La pass (5,367m) 17,604ft to Dzongla (43,80m) 15,939ft Distance: 7 km (8 hours) So here we are on the longest and toughest day of the whole trip. “We are not scaring you but its exciting part of our trip”. The Cho La pass is not itself difficult, but it is steep and involves a glacier and we need to be careful. The trail from Phedi climbs through a ravine and a rocky trail. While trekking through the side of a frozen lake, we reach the top of the pass decorated with prayer flags. There is the icy part for a while and again trail drops down through the huge rock and easy walk at the end of Dzongla. 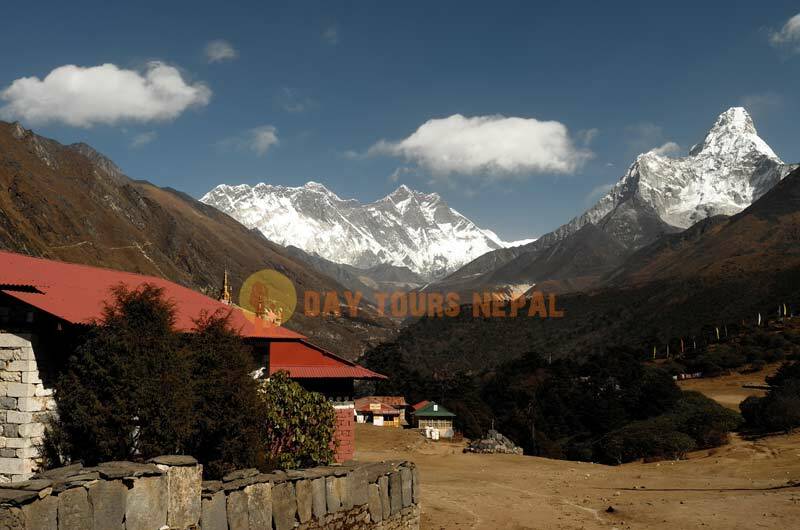 From Dzongla we can see great views of Cholatse, Ama Dablam, Lobuche Mountains. Day 12:Dzongla Trek to Lobuche Altitude: (4,940m) 16,207ft Distance: 6 Km (3 hours) This morning let’s not think of the previous day's longest and tiring hike and start a very easy hike to Lobuche. Very short and plenty of time to relax and enjoy the beauty that surrounds us. After enjoy the view of Lobuche peak and hike around the view point. Day 13:Lobuche Trek GorakShep and Day Hike to Everest Base Camp Altitude: (5164m)16,942ft & (5364 m) 17598 Distance: 15 km (7-8 hours) The trail leads toward Gorakshep through the rocky and rugged. While walking on the way you will see the amazing views of Mt. Everest, Mt. Nuptse, Mt. Pumori and other. After reaching in Gorak Shep, we will drop our bags and a short tea break and we take the trail to Everest Base Camp. 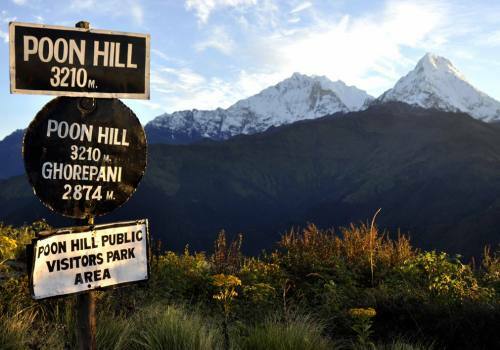 Hike towards to Base camp is strenuous due to the thin air, follow your Guide diligently. We pass through rocky dunes, moraine, and streams before reaching the Everest Base Camp. Upon reaching the Everest Base Camp, we see tents of mountaineers, we will see lot’s during the springtime. We will take the opportunity of visiting such an iconic location. After exploring Everest base camp we get back to Gorak Shep. Day 19:Fly back to Kathmandu from Lukla. Here we are saying bye bye to the Tenzing Norgay and Edmund Hillary airport after our breakfast. A scenic flight to Kathmandu, the guide will check in your hotel. Afternoon free time for last moment shopping or massage in Thamel. Evening Farewell dinner with Day Tours Nepal team and it's provided by the company. Day 20:Final Departure. Breakfast at the hotel and transferred to the international airport on your flight schedule and if some have extra days in Nepal they will continue with other activities. If any help is needed for further plans feel free to contact Day Tours Nepal team. 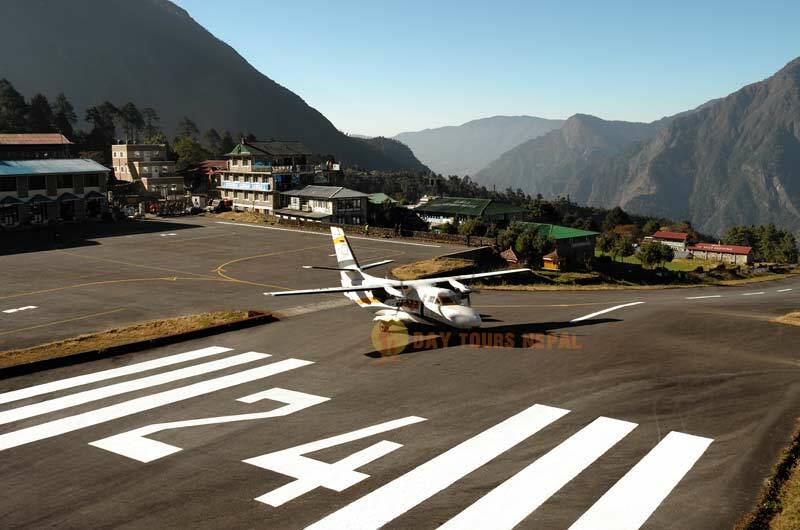 Kathmandu – Lukla- Kathmandu flights tickets. Sagarmatha National park fees, Khumbu VDC entrance and TIMS card. Guided Tour in the city. 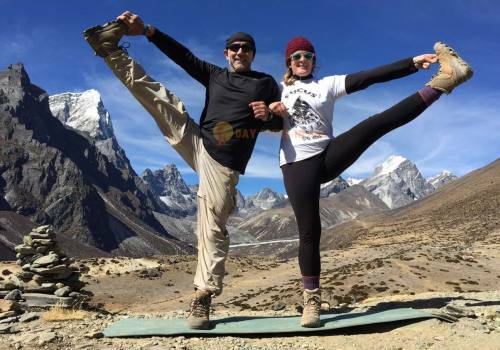 Flexible for dates?, then we suggest you put one extra buffer day in case of Lukla flight canceled. Make sure you have Travel Insurance to Trek in Nepal. How difficult is it to trek Everest Three High Passes Trek? This depends on the individual and their level of fitness and ability to adjust to high altitudes. At its highest point, 5,380 M ( 17,600 ft) above sea level. No matter how fit you are or how healthy you are, altitude can hit anyone. 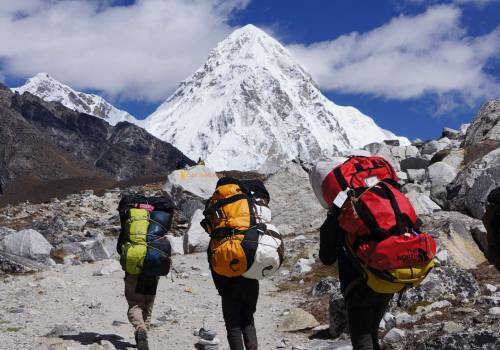 Trekking towards to Everest High Passes and Everest Base Camp does not require ropes, ice axes or crampons, and you don’t have to have any prior climbing or technical skills. However, it does require trekkers to hike for many hours every day, hence, endurance, the strength of will and a positive attitude is key to help you reach base camp like the superhero that you are! 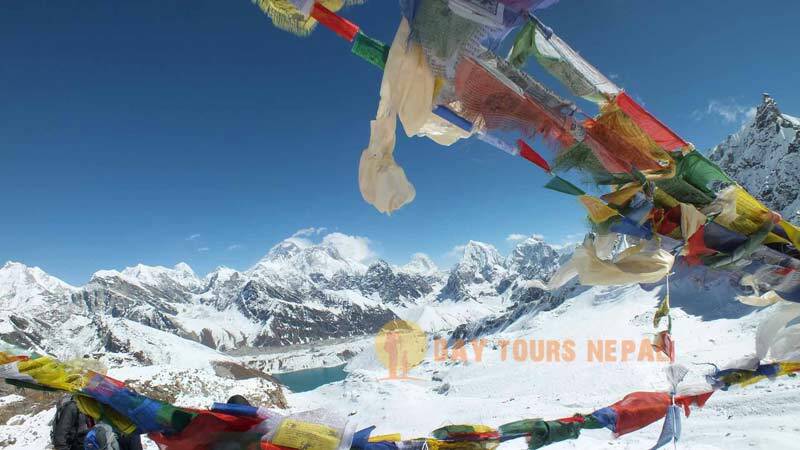 What is the weather like at Gokyo and Everest Base Camp? November, December, January, and February are the coldest months but its also when the sky will be at its clearest. During this time there will be snow you need to be well prepared with proper trekking gears. February, March, and April are the months that mark the end of the dry season. It is also the best time of year for trekking. May to June marks the summer season in Nepal and it can get really hot and humid trekking in the Mountains. Mountain view will also be average at best because of haze. Expect wet weather between June to Mid September as the monsoon season announces its arrival in Nepal with continuous rains and storms. It's also the off-peak season for trekkers heading out to Everest Base Camp. During this wet season, you can expect Kathmandu- Lukla-Kathmandu flights cancellations or delays. Technical? Not at all, it's just a pure hike but obviously, it will be hard to walk on the higher elevation. While it is still possible to trek Everest Base Camp during this time, you have to be mentally prepared for challenges in travel, so do plan an additional 2-3 days to fly from Kathmandu to Lukla or from Lukla to Kathmandu (in case of flight cancellations).